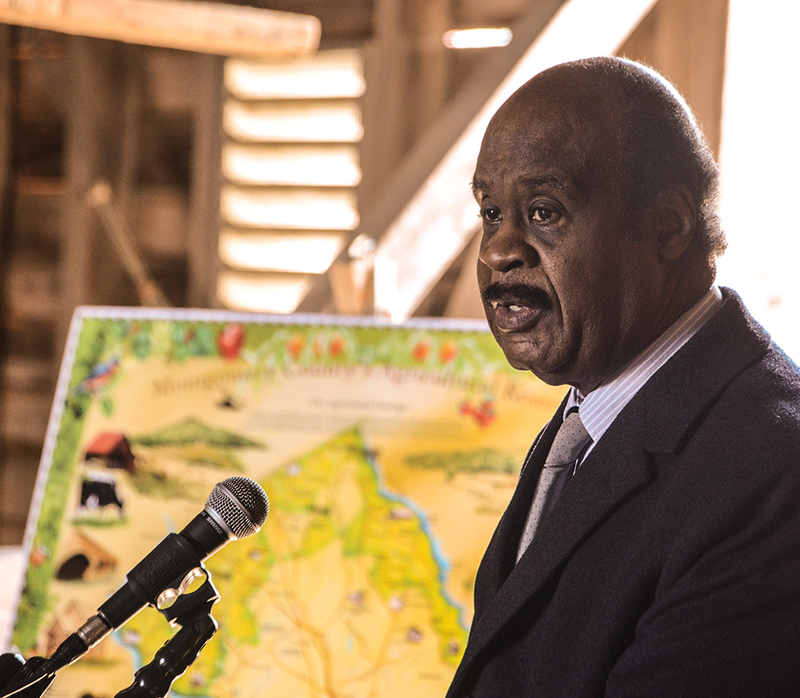 On Thursday, March 8, 2018, Montgomery County Executive Ike Leggett announced the expansion of the Green Business Certification Program to recognize farm operations certified through the USDA Organic and/or Certified Naturally Grown programs. Certified farms will now be included in the County’s Green Business Directory along with approximately 80 other businesses. The announcement was made at the Montgomery County Agricultural History Farm Park. Acting Director of the County’s Department of Environmental Protection (DEP) Patty Bubar; Maryland Department of Agriculture Assistant Secretary Steve Connelly; Montgomery County Director of Agricultural Services Jeremy Criss; Montgomery County Food Council Executive Director Heather Bruskin, Montgomery Countryside Alliance Executive Director Caroline Taylor and several certified farmers joined Leggett for the announcement. Both the USDA Organic and Certified Naturally Grown standards require a full commitment to organic practices – no synthetic pesticides, fertilizers or genetically engineered seeds – and include a focus on building and conserving soil nutrients through compost, cover crops, crop rotation and other practices. Leggett presented certificates to six farmers who achieved certification through one or both standards. A few other farmers were recognized for submitting their applications for certification. The County intends to raise awareness of these environmentally responsible farms to help local consumers easily identify them and spur other farmers to embrace sustainable practices.